There’s something almost magical about a hot toddy that can transform a rainy, miserable day into a warm, cozy one. Last Saturday was such an occasion, and this was the perfect remedy, and an excellent drink. 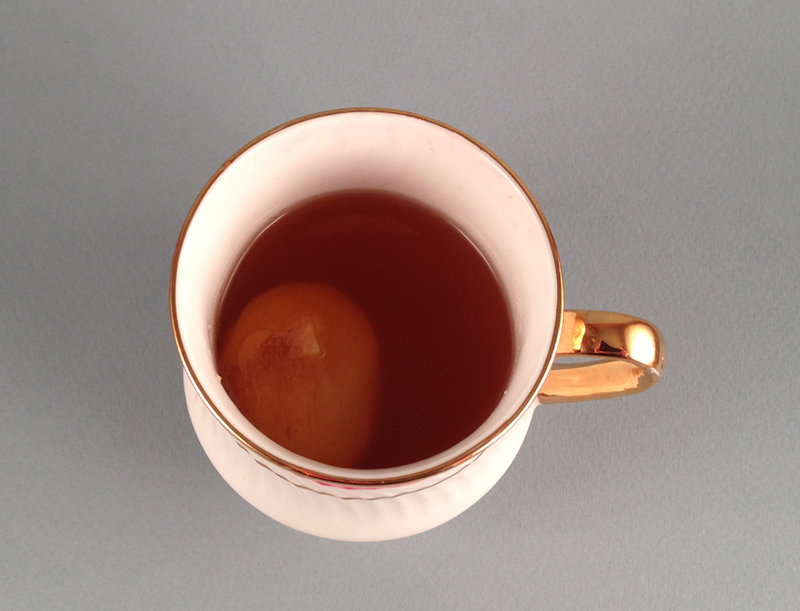 Combine apricot bourbon, cumin syrup, and lemon juice in a tea cup. Top with hot water and float the rose water on top. Garnish with a bourbon-soaked apricot. I was skeptical when Joe told me he wanted to make a drink using cumin syrup. When he told me about his apricot bourbon infusion, this wasn’t what I had in mind. We had thought that Apricot and Cumin was a classic Turkish pairing, but it turns out it’s actually Moroccan. That is unfortunate, but we are not going to change the name, because the name “Turkish Bath” suits the idea of the toddy so well. The inspiration for this drink came from taking a page out of Drink Inc‘s book, looking to cuisine to find a flavor pairing that is not obvious, at least not to us Americans. We were very pleased with the results. Shake it up and let it infuse for 1 week. The apricot bourbon was absolutely delicious on its own. Using dried apricots worked brilliantly, and – best of all – you can reuse the bourbon-soaked apricots as garnishes. As usual, a 1:1 ratio of fruit to spirit and roughly a tablespoon of sweetener results in deliciousness. Simmer and stir until fully integrated. The most surprising element of the drink was the cumin syrup, and its interaction with the apricot flavor. On its own, it’s both sweet and savory. It isn’t particularly spicy, but it does have a certian warmth. As you sip the drink, you’re greeted by the cumin’s glow, wich compliments the nature of a hot toddy splendidly. The drink is at once sweet, spicy, and soothing. Fruity, but also savory. Perfectly balanced, and very relaxing. Also noteworthy is the affect that the rosewater has on the drink. Make sure to drop it on top, right after pouring hot water over the other ingredients. Its role is aromatic, and its presence adds a floral complexity that works well with the citrus from the lemon juice, and also with the sweet fruity taste of apricots. If you enjoyed this drink, I also recommend checking out this apple cider hot toddy from a while back. Fresh apple cider, rye, cinnamon, and cloves together make for another delicious fall toddy. 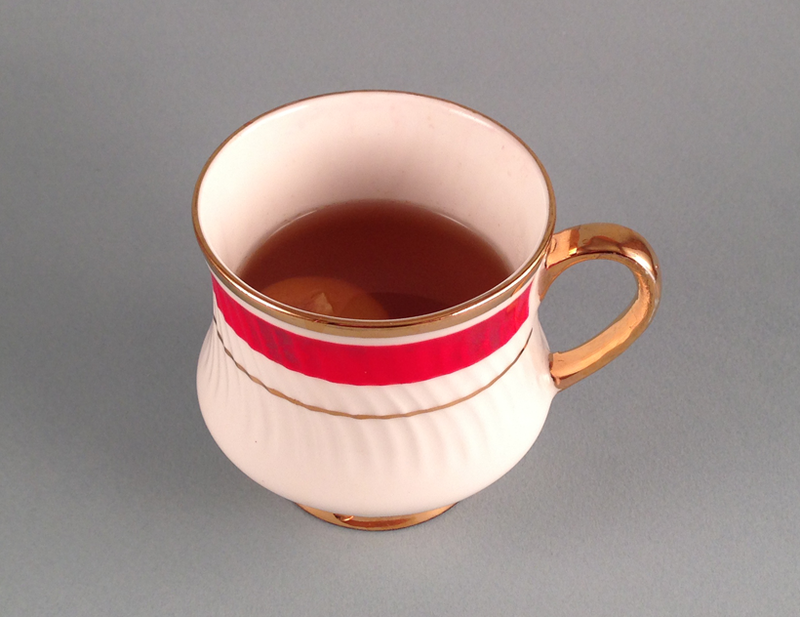 Also, a shout out to The Liquid Culture Project’s Hot Scotch Toddy, which is awesome. Categories: infusions, original creations | Tags: alcohol, apricot, apricot bourbon, bartending, booze, bourbon, cocktail, cocktails, craft cocktails, cumin, cumin syrup, drinking, drinks, hot toddy, infusion, lemon, mixed drinks, mixology, rosewater | Permalink. Well, suffice it to say I know what I’ll be drinking within the next few weeks!